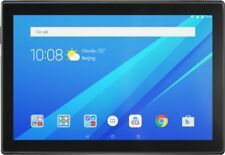 Lenovo - Tab4 10 - 10.1" - Tablet - 32GB - Slate Black. Lenovo Tab4 10 ZA2J. 32GB internal storage plus microSD slot. Color: Slate Black. Expert Service. Unbeatable Price. Model Family: Lenovo. Best Buy Logo. WiFi and LTE Connectivity. Includes: Slate 8 Plus Tablet, AC Adapter and USB Cable. Android 7.1. 8" HD Display. Trending at $51.32eBay determines this price through a machine learned model of the product's sale prices within the last 90 days. Sprint Slate 10. Model: Slate 10. Compatible with CDMA Carrier (Sprint). Clean ESN Fully compatible with Sprint Only. Tu Satisfaccion es lo mas importante para nosotros. Estamos aqui para servirte. Trending at $54.99eBay determines this price through a machine learned model of the product's sale prices within the last 90 days. Google Pixel Slate 12.3-Inch Tablet, Intel Celeron, 4GB RAM, 32GB. Google Pixel Slate 12.3-Inch 2 in 1 Tablet, Intel Celeron, 4GB RAM, 32GB Storage. An open box item, like new quality. Get a full Chrome browser and full android app support in a beautiful 12.3 inch tablet. Includes the matching Pixelbook Pen and a screen protector. Enhanced multimode tablet with four usage modes: Hold, Tilt, Stand, and Hang. Marathon battery life of up to 18 hours.Wireless LAN:802.11 b/g/n, 2.4 GHz, with Bluetooth 4.0. Item ID: S57140. WORKING CONDITION. Lenovo Tab 4, 10.1" Android Tablet, Quad-Core Processor, 1.4GHz, 16GB Storage, Slate Black, ZA2J0007US. PRODUCT INFO. Item ID: S22552. Wireless Type 802.11B, 802.11G, 802.11n. Processor 1.4 GHz Snapdragon. Tested and works great. Comes with certified cable. Shows signs of normal use. Thanks for looking. Lenovo Tab 4, 8" Android Tablet, Quad-Core Processor, 1.4GHz, 16GB Storage, Slate Black, ZA2B0009US. MULTI-ACCOUNT: At less than 2 lbs, it's the first tablet to hide many tablets in one with multi-user and multi-space functionality. 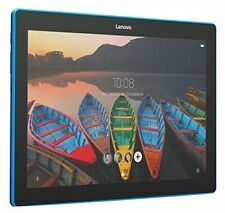 Lenovo Tab 4 Plus 16GB, Wi-Fi 4G (Unlocked), 8in - Slate Black. I got this as a gift. Opened it and charged it. It is in perfect condition. Does not come with box or charger. Just the pad. But I will charge it and shut it down before shipping so it is ready to use. Shipped with USPS Priority Mail. Sprint Slate 8 Plus (AQT82) 4G LTE WiFi Black Android Tablet 1.30GHz 2GB RAM. The Sprint Slate 8 Plus Tablet has an 8.0" capacitive touchscreen display with 1280x800 pixels resolution. This device runs on Android 7.0 Nougat OS on a 1.3 GHz Quad-Core processor with 2GB RAM. Trending at $107.49eBay determines this price through a machine learned model of the product's sale prices within the last 90 days. These tablets are personalized with laser etching on the back. Trending at $84.99eBay determines this price through a machine learned model of the product's sale prices within the last 90 days. The Lenovo Tab E7 is the tablet that gives you a real bang for your buck. Don't let the unbelievable price fool you. This product is elegantly designed, optimized with Android Oreo Go edition and is shareable with everyone in the family. This item is used. The item shows average signs of wear and tear including scuff marks, scratches, nicks, and worn finishes. The screen has no dead pixels. The item has been tested and is fully functional.